An eccentric is a round shape that fits a shaft but it is offset, i.e. eccentric. These are very often used to turn rotary motion into reciprocating, ie, to and fro, motion. This is often used to move valves to control the flow of steam or to operate a water pump on a steam engine. For any eccentric to do something useful it has to be fitted with a strap. This is really just a round part that fits onto the outside of the eccentric. The strap has an arm fitted to it. Very often the strap is made so it can be fitted to an axle after, for example, the wheels have been fitted onto it. This means the eccentric strap has to come apart and can then be bolted onto the eccentric. The strap is often made from a casting and this has two lugs on it. These have to be drilled so the eccentric can be bolted together and the arm fitted. The eccentric strap might also have an arm on it to link to the piston etc or another tab which an arm can be riveted onto. It is quite easy to hold the eccentric to slit it. But once it is slit it is quite difficult to drill the holes for the bolts that hold it together. So the first step is to drill the holes for the bolts. The second is to slit it with a slitting saw as shown. In this case the surfaces will be flat. The alternative is to saw it in half with a hacksaw. In this case both surfaces need to be milled flat. It is only possible to cut the whole of the eccentric by cutting from the end of the vice with a large slitting saw. But if the jaws of the vice were parallel to the milling table there would not be enough space for it to fit on the table and leave room for the slitting saw. 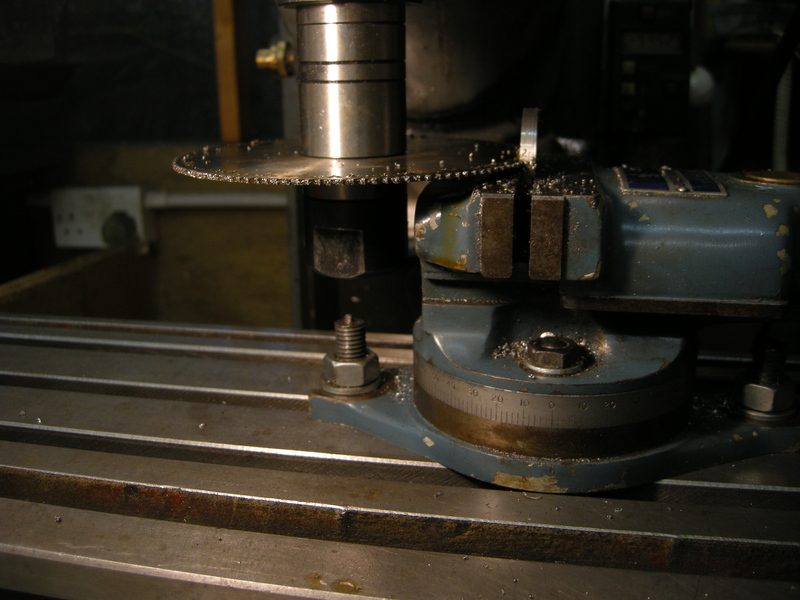 Again, what makes this possible is the swivel making possible to clamp the vice to the milling table in the required position. Both halves are now bolted together. 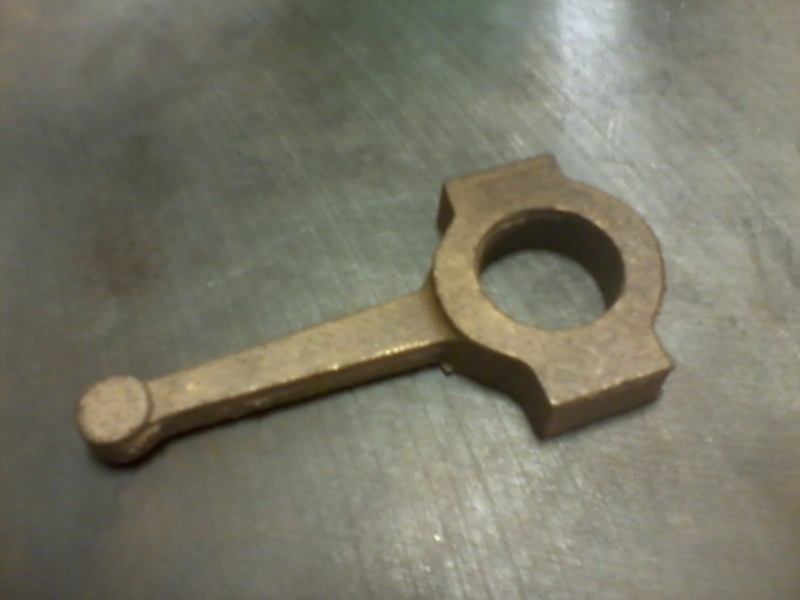 This is now mounted in a four jaw chuck on the lathe and bored out to the required size.